Brian Schwartz is an Executive Managing Director at H.I.G. Capital, LLC, a global private equity investment firm. Brian is active in community and civic organizations with a particular interest in access to healthcare for children. 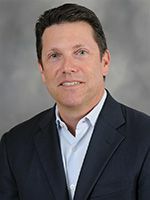 He is currently Chairman of the Joe DiMaggio Children's Hospital Foundation and the Memorial Healthcare Foundation, and he is a member of the Board of Overseers of the University of Pennsylvania's School of Social Policy and Practice. Brian and his wife, Randi, are the proud parents of three Pine Crest Panthers: Olivia '18, Abigail '18, and Sarah '21.